One of the new habits I'd like to work on this year is to save more. For me that is one of those things that is easier said than done. At the beginning of the year especially it seems like a daunting task. We've just come off of the holidays and tax time is looming ahead. 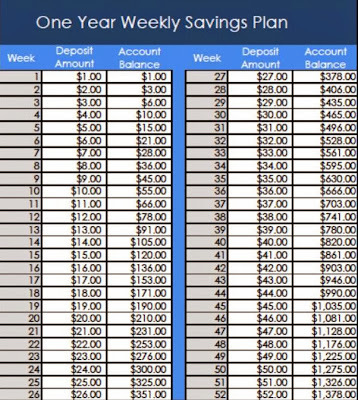 I've seen several different plans on Facebook and Pinterest that talk about a yearly savings plan that make it easy to begin. 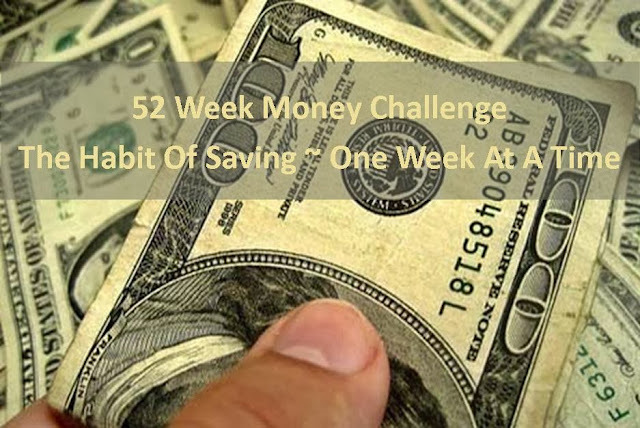 They look pretty simple and seem to ease you into the process.The concept is that you start by saving $1 the first week and then $2 the second week and continue on until you save $52 on the fifty-second week of the year. 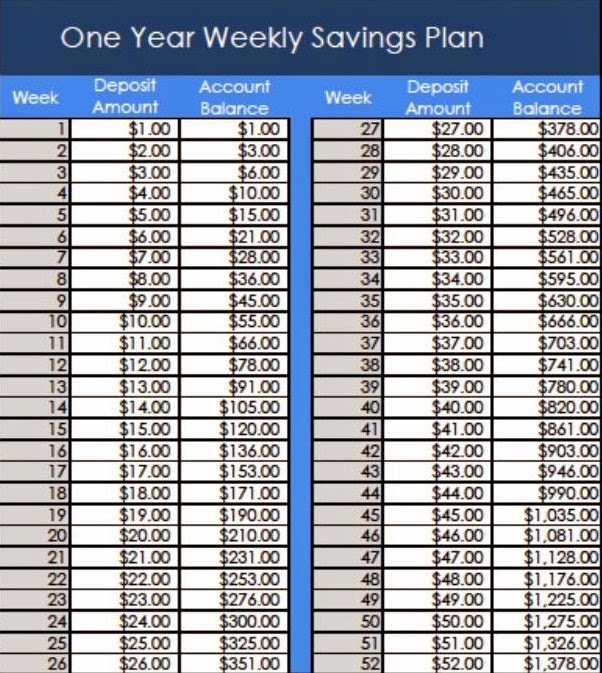 If you follow this plan you will have saved $1378 at the end of the year. There are other plans that divide the savings up into bi-weekly or even monthly amounts for those that aren't paid weekly. I even came across a blog that had a plan for your children that worked on the premise of saving five cents a week. Another idea that I read about was doing the whole thing backwards. So you would begin on week 1 by saving $52 and then week 2 you would save $51 and so on until on week 52 you saved $1. This might be an easier way for those that have more money at the beginning of the year instead of the end. Whatever plan you choose we encourage you to join us in beginning to save more. If your family has a plan to save more this year please share it with us . . . we can all use the encouragement.